Airbus CEO Tom Enders has said that the company will begin testing a semi-autonomous flying taxi by the end of 2017, according to Reuters. Talking at the DLD Digital Tech conference in Munich, Enders is said to have confirmed that a prototype single-passenger demonstrator – developed as a solution to the growing problem of traffic congestion in urban areas – will undergo flight tests within the next 12 months. 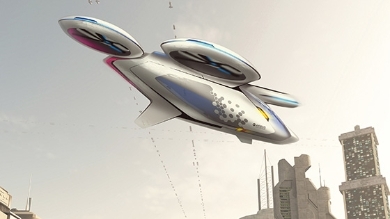 The system is thought to be based on the Vahana project, a flying taxi concept under development by the French manufacturer’s Silicon Valley outpost A3. In a statement on the project’s website, A3 CEO Rodin Lyasoff explained that the vehicle will initially be self piloted, but will boast a number of autonomous features including an ability to automatically detect and avoid obstacles and other aircraft. An artist’s impression of the aircraft shows it to be similar in design to a quad-copter drone. Lyasoff added that the system could operate in a similar way to car-sharing applications, with passengers using a smartphone to book a vehicle. 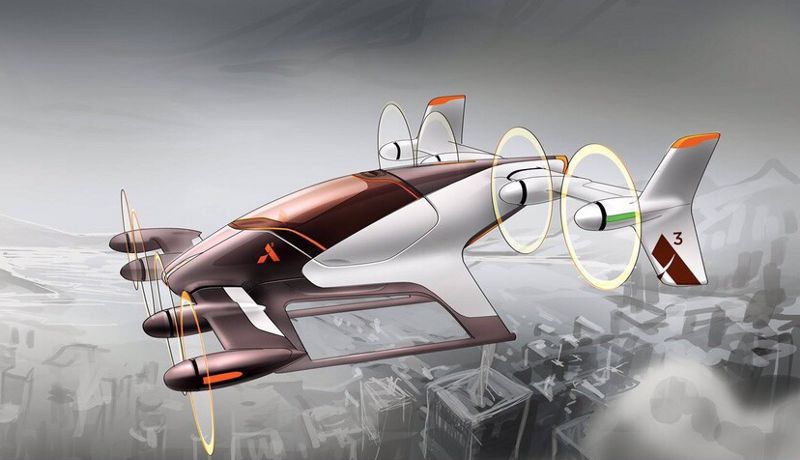 In a related initiative, engineers at Airbus Helicopters are working on the CityAirbus, a project aimed at developing an electrically operated autonomous aircraft able to carry multiple passengers. According to Marius Bebesel, head of helicopter demonstrators at Airbus, customers would use an app to book a seat on the service, which they would then be able to access at the nearest helipad. As with Vahana, test flights are expected to take place at some point in 2017.